The perfect year-round blanket if you live in a place with both warm and cold seasons. 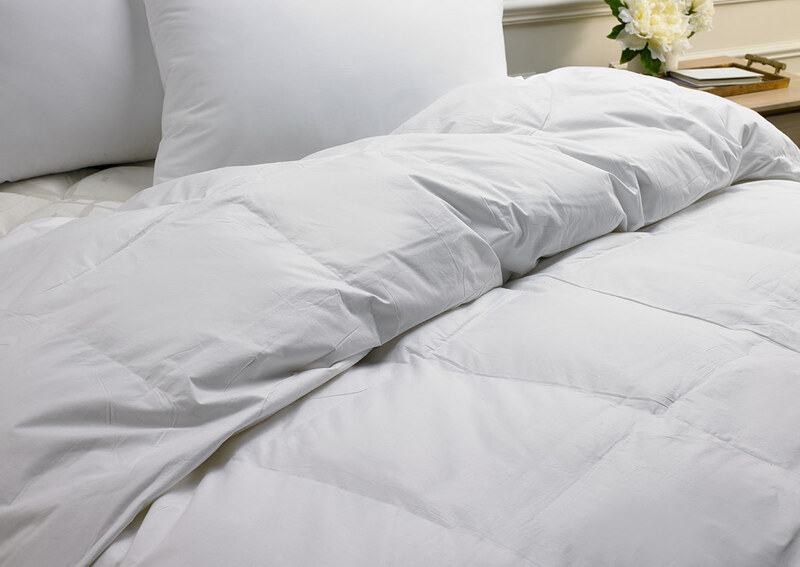 Our Sofitel down duvet is a mid-weight comforter made with a fluffy, premium fill of feathers and down. The box-style quilting keeps the down and feathers evenly distributed and prevents them from bunching together, so you enjoy an even layer of warmth as you sleep.